Rumour has it: Baby joy for Miley Cyrus and Liam Hemsworth | SHEmazing! 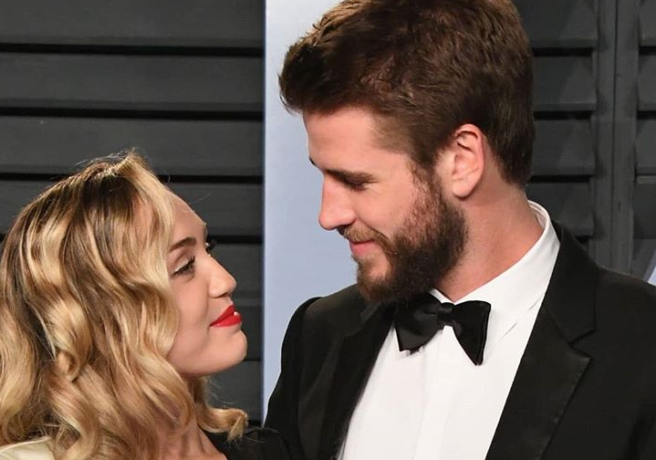 It looks like Miley Cyrus and Liam Hemsworth could be hearing the pitter patter of tiny feet very soon as the pair are set to welcome their first child. According to reports, Miley and Liam are "over the moon" about the news. The couple are rumoured to be expecting a baby girl. “It’s a girl, which is what [they] hoped for. He called his brothers and parents. [Miley] got him to Skype call her family, too. Her mum was crying,” the source added. The pair, who met when filming The Last Song, are planning on raising their daughter in Australia so they can be close to Liam’s family. The newlyweds are planning on moving to Byron Bay- where Liam’s older brother and Thor actor Chris Hemsworth lives with his wife Elsa Pataky and their three children. “Byron Bay feels like a second home to her… Miley wants to buy a house next to Chris and Elsa’s, so they can all spend more time together and the cousins can grow up together,” the source explained. Miley and Liam tied the knot in an intimate ceremony on December 23. 2019 is going to be one hell of a special year for the newlyweds.